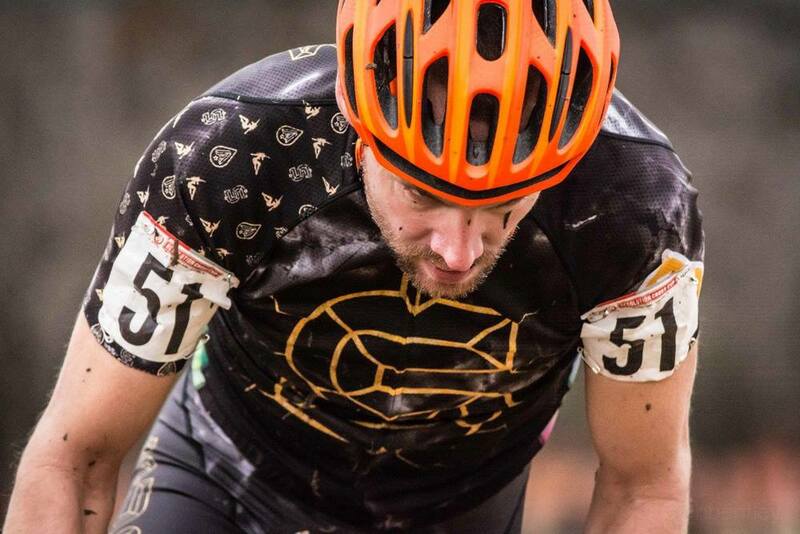 This past weekend was round two of the three week Southern Cross Series at the Resolution CX Cup. With three weeks of UCI racing here in the Oklahoma-Texas area, my opportunity to get a UCI point (or more ProCX points) was never higher, just like my hopes for this round. But rain in the forecast would offer an interesting twist and make the racing that much better. Held at the Winters Park Amphitheater in Garland, Texas, the Resolution CX Cup is in its second year as a UCI race. 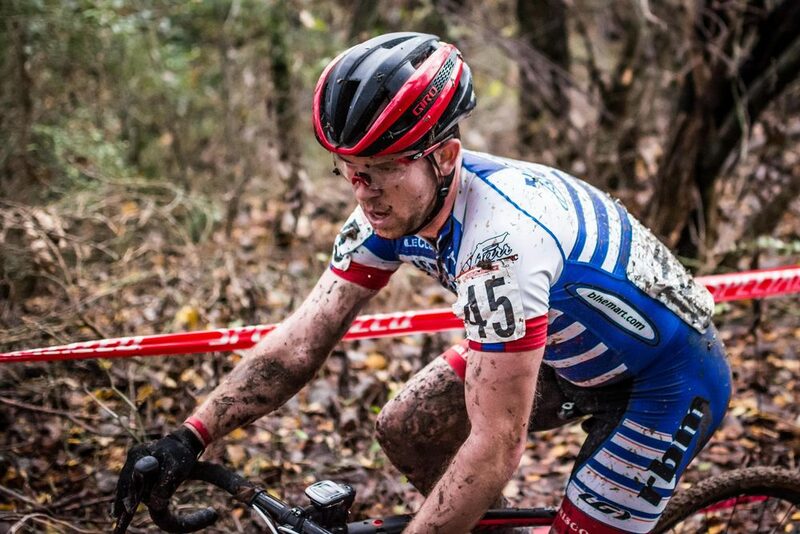 Last year’s race happened to be the weekend before USAC Cyclocross Nationals in Austin. The competition level was just as high as any C1 in the country and mother nature served up some epic mud conditions on Saturday that year. This year… it was no different. My alarm started buzzing around 6:30a. Why you ask? Well, like a good member of the community, I chose to volunteer during the morning races, which meant an early start to the day at the races. Don’t let me fool you, there were other individuals that were there much earlier than I was and who worked much harder than I did – the real kudos go to them. But this is a play-by-play, so bear with me. Volunteer shift complete, I hopped on the course to check out the deets. You may have guessed from the name of the park that this is held in an amphitheater setting. The slope and the thick soccer field grass combine to make a truly leg-burning drag up the hill multiple times. Starting out, you climb to the highest point of elevation and just as you descend back down to the bottom and catch your breath, it’s time to go right back up. Of course, the most fun and technical part of the course is the wooded section. With roots, tight turns and a gnarly run up, this part of the course was a real difference maker. All my pre-riding would prove for not though, as the rain rolled in and the conditions switched from moist to wet. Time to throw out everything you thought you had dialed! Our 4 p.m. start finally rolled around and I assumed my spot on the third row of the grid. The whistle blew and I got into my pedal quickly, bursting off the line and looking for any gap that I could squeeze through to get to the front. I managed to make my way into the top 15 guys and as we turned on to the grass, one rider slipped out, which meant I earned a few more free spots. By the end of the first lap, I was doing well and still had the top 10 in sight. But the greasy conditions would expose some fear and any chinks in my armor. Leading a group of three or four other riders, I slipped out on more than a few occasions, sometimes saving it, sometimes not. But each time I was having to battle back to the wheel, only to lose a bit more time later. 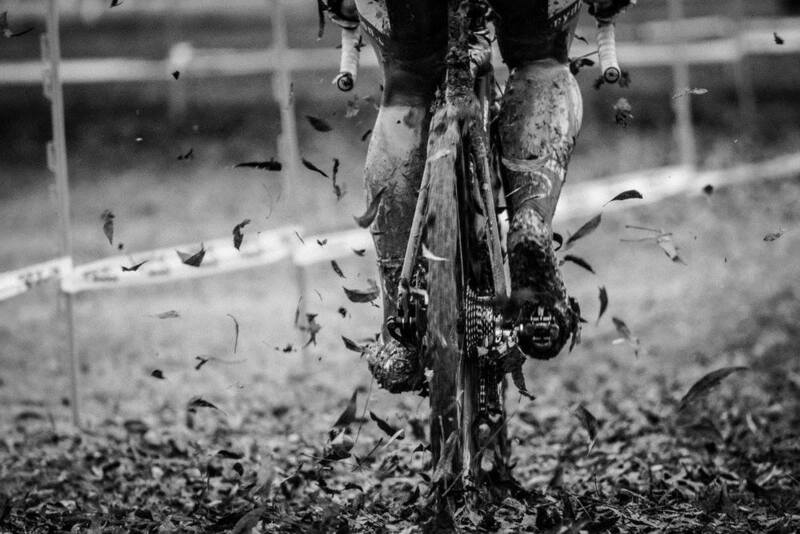 In a sport like cyclocross, such mistakes can add up quickly. And once it gets in your head, your ability to challenge for a top place vanishes. While I was fortunate to not have any mechanical trouble and have a pit crew cleaning bikes every half lap, I wasn’t confident in my abilities around the entire track. As I bobbled around the course, I watched the top 15 ride just in front of me and crossed the line in a disappointing 17th place. Though the result itself was not a true let down, my inability to navigate the course cleanly made me my own worse enemy. It’s hard to not see the race as an opportunity missed, but I was hopeful that some drier weather on day two would bring a better result. Sunday started much more mellow than Saturday and I was able to relax a bit in the morning. With freshly cleaned bikes, I headed to the course to find the track was just as muddy as the day before, if not more so. Overnight showers left large puddles on the lower section of the course, and by the time the afternoon races came around, any hint of green grass was gone. Today was sure to be a tractor pull. My call up put me on the second row of the grid. Not wanting to gas it too hard, I did what I could to stay near the front of the bunch and out of trouble through the first sections of the race. As we passed the pits on the second lap, I was somehow managing to stay with Tristan Uhl (Giant South) and followed his wheel up the long muddy drag to the top of the hill. That all changed when Tristan shredded the woods – which I chose to run – but it was encouraging nonetheless! The top 10 was not quite gone as I went out on my third lap, but as we dove into the woods again, my rear wheel just fell out of the dropouts. I’m really not sure how it happened, whether the quick release broke, wasn’t tight enough, or just a freak accident, but I was less than pleased. My sincere apologies to all those who were privy to my melt down. I went as quick as I could, putting the rear wheel back into place as four riders came past me. Frustrated and angry, I started mashing on the pedals, trying as hard as I could to catch back up to the leaders. It’s all a blur now, but as I approached the pits for a second time on a subsequent lap, my rear wheel again came out of its place, this time taking my rear derailleur with it. Now I was down to just one bike and no true mud tires. Grifos don’t fail me now! After two mechanicals, my hopes of somehow rejoining the front half of the race disappeared and I slid around the greasy course for another two laps. I would have given anything to get some clean tires, but there was no way to do that quickly. My last laps on the course were not fun and the dark clouds accumulated over my head as I crossed the line in 18th place. I put myself in a timeout after the race to lament the race and I can’t say that I felt much better after that. But looking back now, these things happen. Whether through rider error or coincidence, it was unfortunate timing (but also fortunate being right by the pits) to have a mechanical and these things happen. While I did scrape a few more ProCX points from the weekend, I’ve learned my lesson to have someone check my work before and during every race. Hopefully the next time I’m in the mix, I’ll be able to hold it all together! An email from USA Cycling informing me that I had qualified for Elite Nationals this January in Asheville, North Carolina! While I still have yet to grab that elusive UCI point, this is the next best thing and it means I can put a check next to that goal that I set for myself back in August. I’m looking forward to heading back to nationals as a competitor and in a few weeks’ time and my first time competing at the Elite level. But for now, it’s off to Waco to take on the Highlander CX Cup and give it one more shot to grab a UCI point!